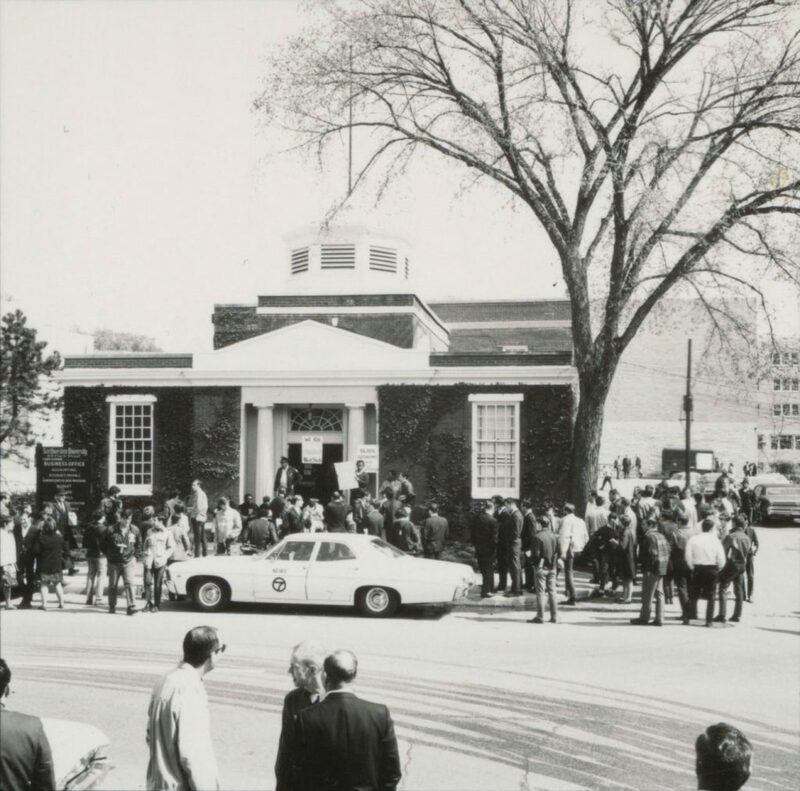 May 3-4, 2018 marks the 50th anniversary of the 1968 Bursar’s Office Takeover. 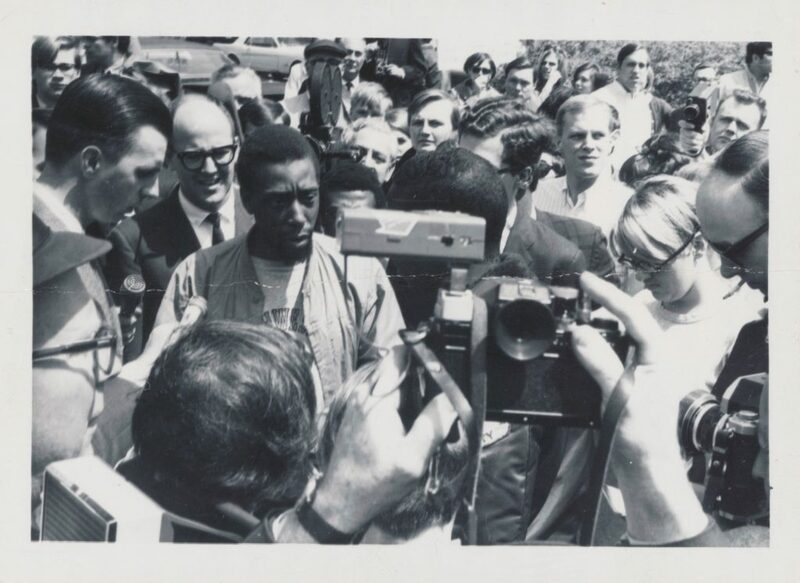 On April 22, 1968, members of Black student organizations, For Members Only (FMO) and Afro-American Student Union (AASU), presented a list of demands to the Northwestern University administration in response to discriminatory campus policies and practices and to heighten the awareness of Black student’s experiences of racial insensitivity on campus. 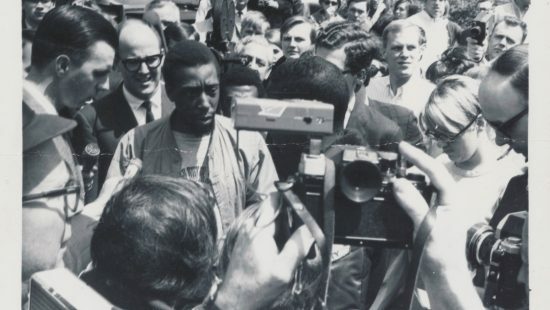 When the demands were not met, on May 3, 1968, more than 100 African American students occupied the Bursar’s Office, Northwestern University’s business office. After a 38-hour demonstration, Black students and the Northwestern University administration came to a resolution of developing advisory boards around the admissions process, recruitment of Black students to the University, review of financial aid packages, and open housing in Evanston, to offer equitable housing options and counseling, and to establish of the Department of African American Studies and a Black student union, today called the Black House. They Demanded Courageously: The 1968 Northwestern Bursar’s Office Takeover is an online exhibit that tells the story of this transformative moment in Northwestern University history. 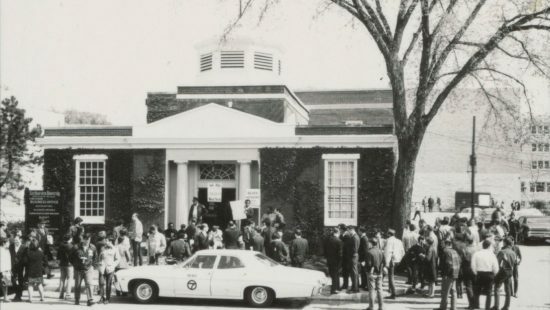 It includes an overview of the trajectory of the reasons students of For Members Only (FMO) and Afro-American Student Union (AASU) presented demands to the University, to the legacy of the Takeover. It also features key documents found at Northwestern University Archives, a timeline, participant biographies, photographs, and bibliographic resources. All images and documents featured on this site live at Northwestern University Archives. They Demanded Courageously: The 1968 Northwestern Bursar’s Office Takeover runs from May1-July 31, 2018 at Northwestern University Libraries with displays in the lobby and third floor of Deering Library. The exhibit features original documents from the Takeover including the demands, resolution, and photographs. The display also features a brief history of the legacy of the event, and highlight student organizations For Members Only (FMO) and African American Student Union (AASU), the origins of the African American Studies Department and African American Student Affairs. There is a special spotlight on Takeover participants Daphne Maxwell Reid and Eva Jefferson Paterson in recognition of new acquisitions to Northwestern University Archives. There are many opportunities to celebrate this historic event. Visit the following websites to learn more about how to get involved: Northwestern University Black Alumni Association (NUBAA) and Northwestern University Office of Institutional Diversity and Inclusion. Developing both online and physical exhibits takes a team effort. I greatly appreciate the support from the following NU Library units for contributing their expertise to make these exhibits fully accessible: Business and Receiving, Digital Scholarship, Facilities Operations and Security Management, Marjorie I. Mitchell Multimedia Center, Marketing and Communication, Preservation, Repository and Digital Curation, and University Archives. A special thank you to: Brandon Sander, Brittan Nannenga, Charlotte Frank, Carolyn Caizzi, Carlynne Robinson, Claire Pak, Clare Roccaforte, Cory Slowik, Dan Zellner, Drew Scott, Dru Parrish, Elery Stritzinger, Erin Gilchrist, James Abbott, Janet Olson, Jennifer Young, Josh Honn, Josh Yocum, Kathleen Bethel, Kevin Leonard, Laura Alagna, Lauren McKeen, Liz Hamilton, Martin Antonetti, Mary Brand, Mary Pedraza, Nicole Finzer, Rachel Cole, Sarah Pritchard, Susan Russick, and Tonia Grafakos. Telling the story of the Takeover could not be possible without Northwestern University alumni sharing their experiences and donating material so that we have a better understanding of this history. Here is a special thank you to the following: Angela Jackson, Audrey Hinton, Cherilyn Wright, Clovis Semmes, Daphne Maxwell Reid, Debra Blade, Eleanor Stewart, Eva Jefferson Paterson, Herman Cage, Jean Semmes, Jeffrey Sterling, Jim Pitts, Kathryn Ogletree, Lauren Lowery, Leslie Harris, NU Black Alumni Association, and Steve Colson. Northwestern University Libraries is dedicated to the fair and ethical preservation, digitization, curation, and use of its collections. This exhibit is made available to the public under Fair Use (Section 107 of the Copyright Act) for learning and teaching purposes, as well as to promote the mission and activities of Northwestern University Libraries (ARL Code of Best Practices in Fair Use). Northwestern University Libraries does not claim the copyright of any materials in this collection. If you are the copyright holder of any item(s) in this collection or have questions, comments or concerns about this exhibit, please contact us via email at library@northwestern.edu.